[Feedback] Hey Friends, I could use some feedback on my Local Weather App! Hey everyone! It would be awesome if you could take some time to check out my Local Weather App Project! I would like to hear thoughts about the actual code, but any other feedback and comments would be super helpful. I have never before in my life laid eyes upon such readable code. Your variable naming, commenting and structure makes your code very clean and easy to interpret, so I think this is pretty excellent. 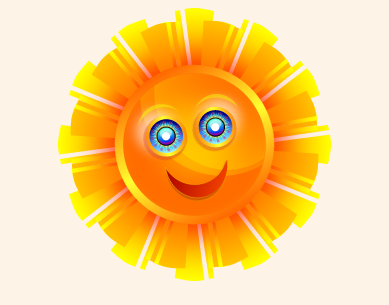 This sun, this innocent and tenaciously, intensely happy sun - yet it evokes memories and feelings of a dark time, times of creating school reports and presentations in the office 98 suite. But, honestly, everything looks good man! I was practicing some CSS “best practices” that I don’t really understand, but I’m glad the point got across and made the code readable. Site design is something that I’m still getting a grasp on, so this Flat UI Colors page will definitely be going in my resources bookmark! Thanks for the time and the kind words, cheers!